The course follows the Parade Route for the St. Patrick’s Day Parade in Binghamton, NY. The race starts immediately before the parade, so there is a great spectator turnout! 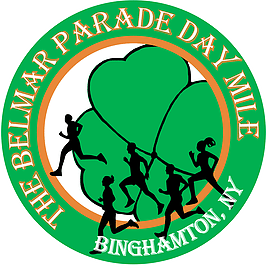 The race route starts at the Broome County Public Library and finishes in front of the Belmar Pub. Slight upwards grade in the mid-course, but basically flat.